The Board is the legal authority for Community Connections Supported Living Charitable Trust (“Community Connections”). Board members represent the interests of the organisation and are entrusted to ensure the organisation is soundly managed to achieve its purpose. The role of the Board is governance. Governance focuses on the goals and objectives of Community Connections, and the Board supports the Executive Director to achieve those goals and objectives through the development and review of strategic direction and a robust policy framework. The Executive Director is employed by the Board to manage the operation of Community Connections so that the agreed goals and objectives are met. The Board is not involved directly in operational matters. Sue has been on the CCSLT Board for three years and considers it a privilege to work with such a dedicated group of board members, management and staff. CCSLT is an organisation that truly lives its values. Sue has varied work experience ranging from running her own business, through to local and corporate government. Her key strengths are in the delivery of corporate/business services while understanding and aligning this delivery in a strategic way. Sue has a strong understanding of how government works and a passion for ensuring all New Zealanders can lead the life they deserve. Otto has been on the board of CCSLT since June 2015 and has been appointed as finance director. 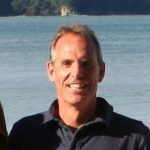 Otto is trained as a physiotherapist and has established, with his wife, their own private Levin practice in 1990. Besides physiotherapy, Otto has been involved in the construction industry for a long period of time and started his own property development company in 1999, and has continued to work on several projects including construction, development and investments. Through various companies and partnerships Otto is predominantly responsible for the contract negotiations, finance and risk management. He considers integrity and trust important drivers in both his personal and professional life. On a personal level Otto enjoys sailing and just being on the water, where he is able to relax. He also looks forward to more travel with his wife, and enjoying time with all their friends and family. Lee was born with Cerebral Palsy which affects the lower half of his body and his eyes, but he doesn't let that stand in his way. Lee first got involved with the Community Connections Board about three or four years ago because because he is passionate about disability issues and wanted to make a difference to the lives of others in the Wellington community. Lee feels that having a disability is all he knows. He was the first person to be educated in a main stream school in the Wellington area in the 1980s and he was also the first client of CCS supported living services when it started. 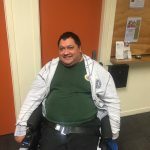 Lee also works for CCS Disability Action as a Disabled Staff Coordinator for the Central Region which covers the Taranaki, Kapiti and Wellington areas. This doesn't leave Lee a lot of time to relax but when he does he likes to watch sport. Lee used to play Rugby and Swim for the New Zealand Para Olympics team. After an injury six years ago, He recently got back in the pool.